A man who enjoys taking on different challenges to raise money will embark on his next feat today (Saturday). Nigel Ainge, 52, will push a sackbarrow with a keg of beer from Wellingborough to Rushden to raise money for the charity Bloodwise after his brother was diagnosed with leukaemia last year. He is now in remission and Mr Ainge, who has learning difficulties, wants to help Bloodwise’s cause. Family friend Tracey Amis, who runs Slim & Fit classes in Wellingborough and Rushden, said: “He loves to do something for charity every year. “He’s flown a microlight and shaved his head and this year decided he wanted to push beer. 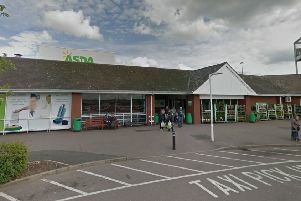 Mr Ainge will start his route at 11am from outside Morrisons in Wellingborough and pass through Little Irchester and Irchester before arriving in Rushden at about 1pm. Tracey will also being taking on the challenge with Nigel after another friend became ill with Non-Hodgkin’s lymphoma. Nigel’s mother, Mrs Ainge, is well known to the Rushden community and for many years ran the Rushden & Higham Disabilities Club for families affected by Down’s Syndrome, learning difficulties and other disabilities. Also supporting will be Tracey’s class members and family and friends of Nigel.